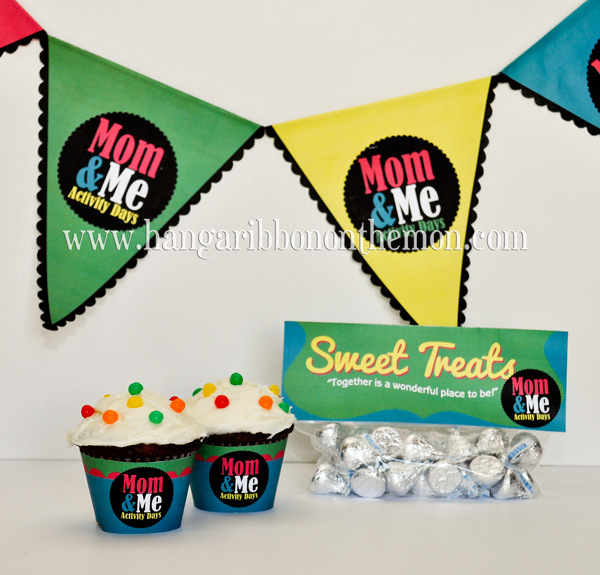 Here are the latest in my Activity Days: Mom&Me series of printables: cupcake wrappers, treat-bag toppers and flags! Use these printables, plus my other Activity Days Mom&Me invitations (photo and candy-bars) and photo frames to give your girls and their mothers a memorable time together at your next activity! 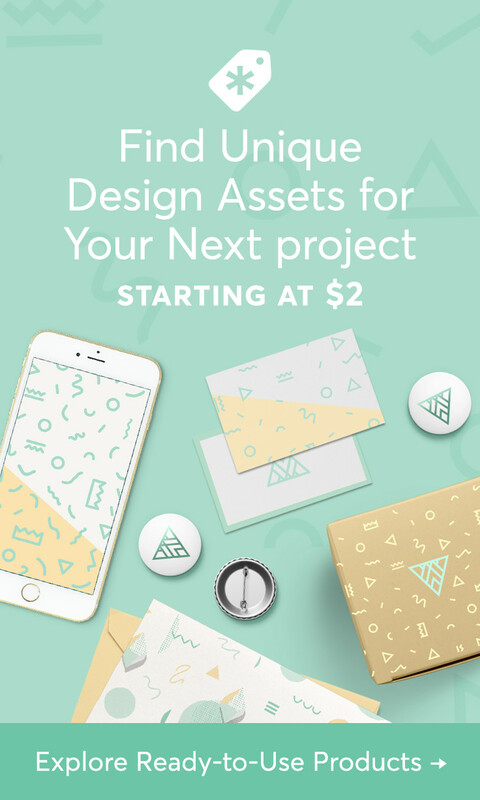 You can find the download links to my files at the end of this article. Flags: Make an adorable string of bunting flags using my easy-to-print .pdf file or four high-quality .jpeg files. My flags fit perfectly on a standard 8.5-by-11-inch piece of paper or cardstock. 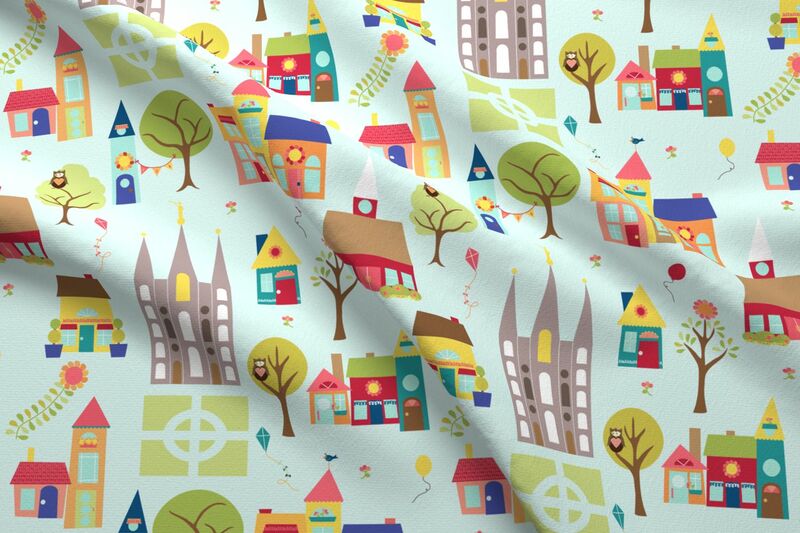 Print, cut and assemble! I put together my string of bunting flags by folding the top 1/2-inch of each flag towards the back, hanging the folded flag on a length of string and then gluing down the flap. You can also hang individual flags around the room or sew them onto a length of ribbon using a sewing machine and long, straight stitch. Cupcake Wrappers: Use my cupcake wrappers to dress-up cupcakes for a fun and delicious Mom&Me activity treat! Or, have your girls make and decorate cupcakes to serve to their mothers at your Mom&Me. Print, cut and wrap my wrappers around frosted, decorated cupcakes. Then, secure the wrappers in back with tape or glue. Treat Bag Toppers: Finally, today I have some adorable Activity Days: Mom&Me treat bag toppers for you! Designed to fit sandwich or snack-sized zip-top bags, these five-by-seven-inch (2.5-by-seven-inches when folded) treat bag toppers will help you create a playful favor for your next mother-daughter activity. 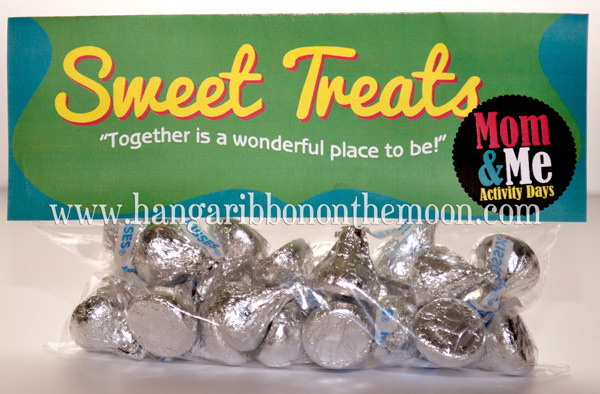 The front features my Activity Days: Mom&Me logo, the words Sweet Treats and the quote Together is a wonderful place to be! On the back, I’ve included the Primary Theme as well as a Mom and Me barcode! Simply print, cut, fold and secure these treat toppers with staples or double-sided tape to your own treat bags. I hope these Activity Days printables help make your next Mom and Me get-together perfect–and EASY! I have a few more printables coming in this series, so be sure to follow this blog or like Hang a Ribbon on the Moon on Facebook so you don’t miss a download or post. Download my Activity Days: Mom&Me Flag files HERE. 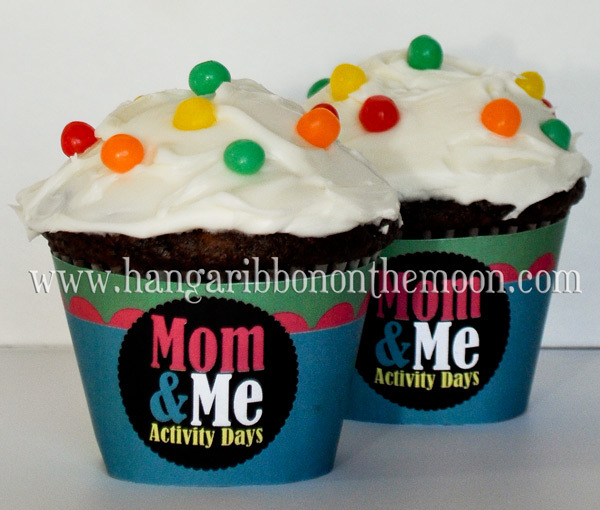 Download my Activity Days: Mom&Me Cupcake Wrappers HERE. Download my Activity Days: Mom&Me Treat Bag Toppers HERE. You will need to unzip these downloads before you can use them. Please, DO NOT SHARE MY FILES in any way! Send your friends here to download their own copies.